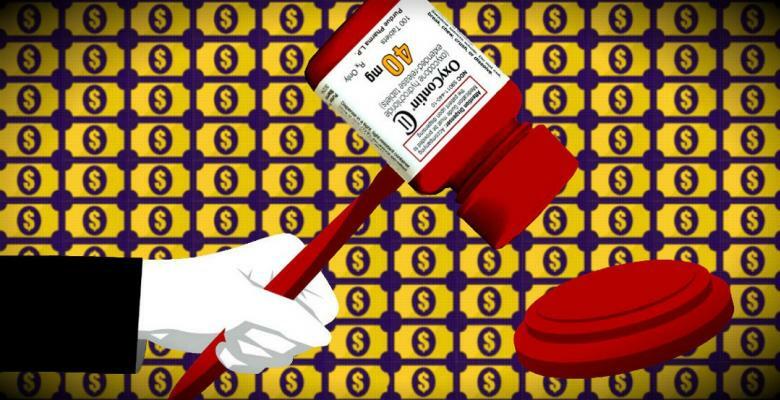 It’s common knowledge that Big Pharma giants are rarely served with the hammer of justice. On Tuesday, the OxyContin pushers of Purdue Pharma were forced to pay a $270 million settlement after it was taken to court for deceptive practice “fueling the opioid epidemic”, according to the state attorney general of Oklahoma — showing us that it’s certainly possible to hold corporations accountable for their marketplace immorality. As reported by NBC News, the deal was reached in secret roughly two months before a scheduled televised trial in Oklahoma was set to take place. The charge against the pharmaceutical corporation was deceptive marketing, based on the routine sales of narcotics to physicians on the assurance of the prescription painkiller being “rarely addictive”. At the same time, unveiled court documents reveal the company considered selling anti-addiction drugs to “an attractive market” of users addicted to their own narcotic brands. Further explained by The Washington Post, the Purdue company itself will contribute $195 million towards the centers directly, alongside another $140 million divided unevenly between developing their own treatment drugs, compensation for Oklahoma’s struggling cities and the litigation costs of the trial itself, meanwhile, the Sackler family — the company owners — will pay $75 million of their personal earnings to the centers over the next five years. It seems justice even reached the very top of the corporate ladder this week. Purdue joins dozens of other drug companies in the 1,600 pending lawsuits filed by cities, counties, states and native tribes across America. This is officially the first case to settle based on their actions throughout the opioid crisis. The terms of the settlement dictate all proceeds are reinvested in new research, education and treatment centers from Oklahoma State University. While it’s unclear how those particular cases will resolve, Purdue’s recent surrender does indicate a possible trend of overdue accountability. Since the OxyContin brand was launched during the late-1990s — where advertisements featured satisfied customers who later turned into addicts and subsequently selling a product which posed dangers that were yet unknown — it’s easy to see how the crisis has established roots within America’s economy for decades. Since launch, the Center for Disease Control and Prevention (CDC) estimates that over 700,000 deaths within the US are from drug-related overdoses, most of which are caused by opioid products, and freely sold to customers without any for accountability. A full history of the epidemic was perfectly highlighted by Vox, explaining the waves of opioid trends pushed by their manufacturers. Multiple studies have linked marketing for opioid painkillers to addiction and overdoses, alongside other sources establishing links between the supply of opioid painkillers to an increase in both sales and overdoses. This is particularly true throughout the second and third wave of the drug crisis once substances such as heroin, fentanyl and painkillers have conquered the illegal and legal markets — all to the mutual benefit of the customer, the dealer, and the drug manufacturers across America.